And 122 of them were about to become moms. 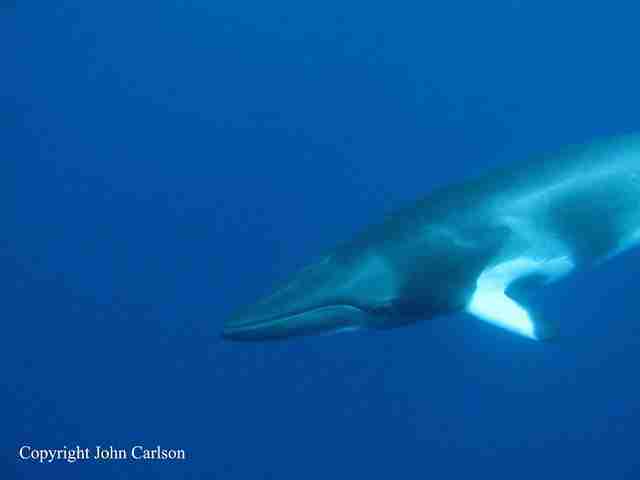 These 122 minke whales were expecting babies — but instead of getting the chance to become moms, Japanese hunters tracked them down and killed them. This news was recently revealed in a technical report submitted by the Japanese government to the International Whaling Commission (IWC), an international governing body that’s responsible for the conservation of whales and management of whaling activities. Japanese whalers killed a total of 333 whales on their latest whaling expedition in the Southern Ocean, and 122 of them were pregnant females. Yet animal welfare advocates doubt that claim — they believe Japan has always killed whales for commercial purposes, and continues to do so now. In 2014, the International Court of Justice (ICJ) ordered Japan to temporarily halt its whaling program after Japan failed to prove it was killing whales for scientific purposes. 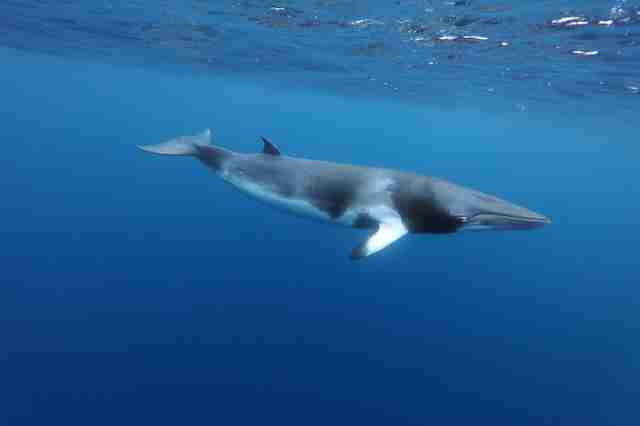 But two years later, Japan resumed its whaling program. 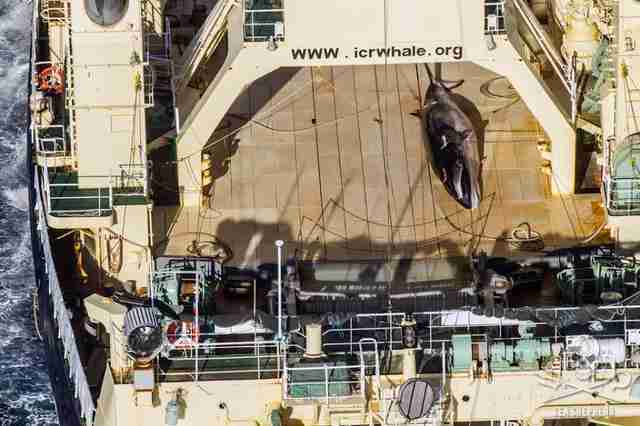 In previous years, Sea Shepherd has sent ships to the Southern Ocean to stop the Japanese hunters from killing whales, but this has become impossible, Stokes explained. The Japanese whaling ships are now equipped with military hardware with real-time satellite tracking capacities, which helps the whalers avoid Sea Shepherd’s ships. 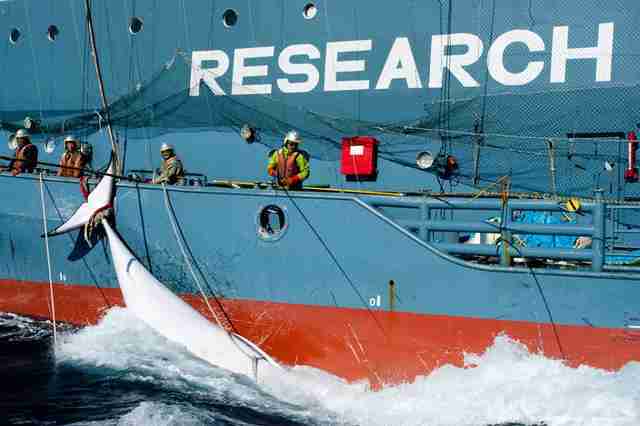 Paul Watson, founder of Sea Shepherd, believes that Japan is actually gearing up to expand its whaling program. Toward that end, the Japanese whalers even have plans to construct a new factory ship to replace the Nisshin Maru, their primary whaling ship, Watson explained. “These operations are in defiance of the verdict of the International Court of Justice and the global moratorium on commercial whaling as ruled by the International Whaling Commission,” Watson said. If your home country is a member of the IWC, you can contact your government to encourage them to push back against Japan’s aggressive whaling campaign. You can also help fight whaling by making donations to HSI and Sea Shepherd Global.